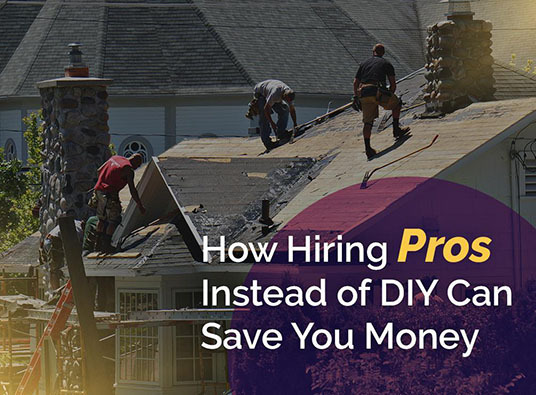 Many homeowners gravitate toward DIY roofing projects to save on material and labor. While doing most of the work yourself may seem pocket-friendly on paper, it can actually cost you more money down the road. In your quest for cost-effective products, you run the risk of buying substandard ones. Considering the importance of having a fine roof, you can’t skimp on quality, intentional or not. Sometimes, exercising due diligence doesn’t suffice to find reliable sources of material. If you hire a contractor certified by the manufacturer of the roofing product you want, having high-quality materials is guaranteed. IKO- and Owens Corning-certified roofing companies, like us, get supplies from trustworthy dealers to avoid structural and aesthetic quality concerns. There’s no substitute for comprehensive and ongoing training. A bunch of roof repair and replacement tutorials on YouTube doesn’t make you an expert. All roofing problems are serious by nature because any mistakes will ultimately lead to damaging leaks. If you fail to do the job, you might experience rain inside your home during the next storm. In the end, you might call pros to correct your work and spend potentially more dollars to restore everything to good condition. The professional fee of roofing companies is synonymous with stellar warranty coverage. In the event of failure, your guarantee will bail you out and protect your pocket against future repair expenses. If you DIY your roofing project, you’ll have to pay for your mistake sooner or later. Apart from the aforementioned benefits, Kroll Construction offers you numerous financial options to help you budget for your roofing projects. With our solid partnership with Wells Fargo, count on us to find a way to make your home improvements simple and easy. Call us at (844) 688-9632 today to schedule your FREE, in-home consultation in Detroit, Michigan and talk about your needs.